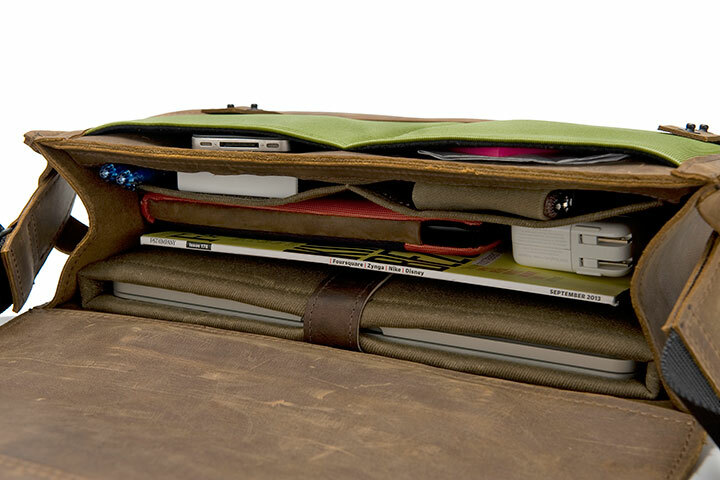 We absolutely adore iOS and Mac accessories from San Francisco, Calif.-based Waterfield Designs. 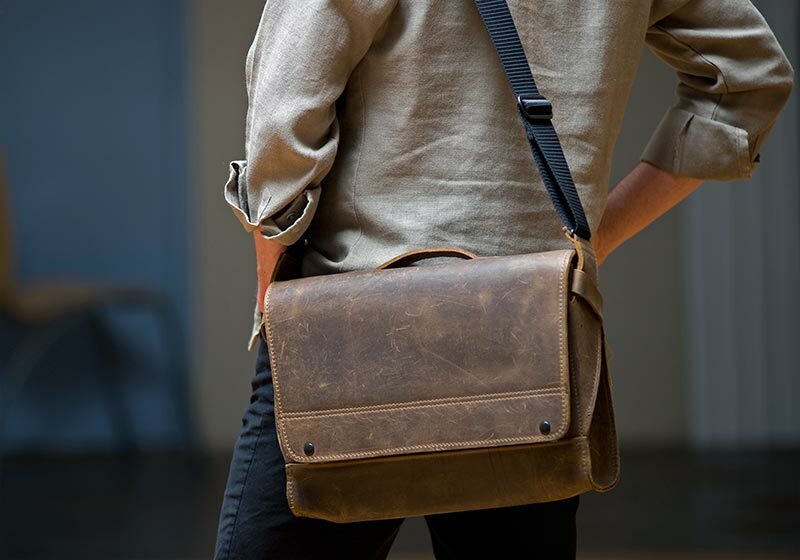 The company's latest product is the Rough Rider Leather Messenger bag. How does it hold up? It's time to find out. Compatibility: Has enough space for one laptop and one large-size tablet. Plus keys and a mobile phone, and other small accessories. For testing purposes, I’ve been using a flame-accented Rough Rider with my 11-inch MacBook Air, 9.7-inch iPad Air, and iPhone 5s. Additionally, I’ve carried around a PlugBug charger from Twelve South. I found there to be plenty of room left for a protein bar (or two), a regular notebook, and more. The Rough Rider comes with one non-detachable black nylon strap. This bag combines style and ruggedness with ease. Waterfield Designs claims this combination exudes an “'already been around the world a couple of times’ masculine confidence,” and they are correct. The more scratches and scuffs, the better, in my opinion. 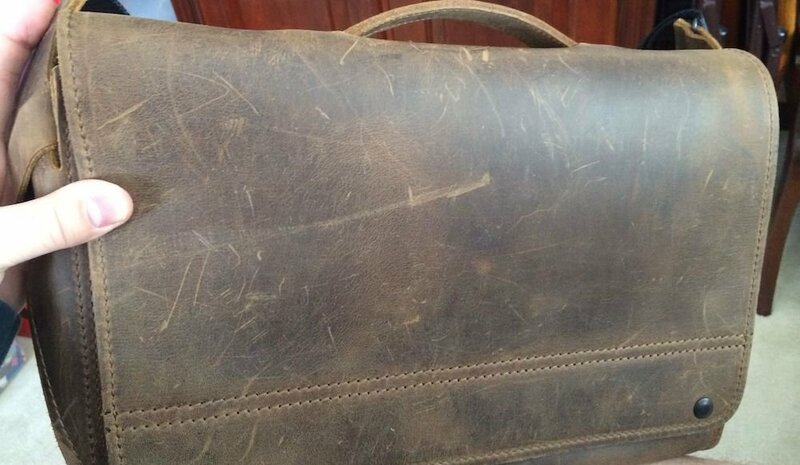 Still be sure to use a leather cleaner on it occasionally. 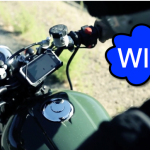 Waterfield Designs has scored another home run with the Rough Rider. I have yet to find a messenger bag this stylish and practical. 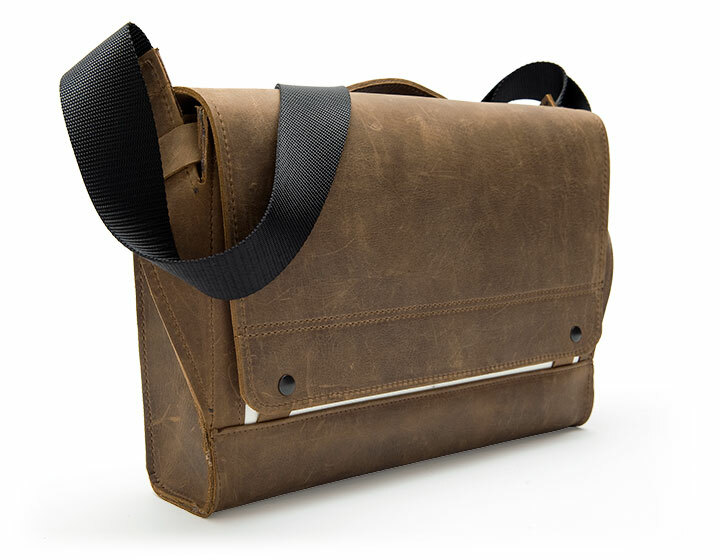 The Rough Rider is available for $335 through Waterfield Designs. The next product run deadline is March 30. Each time Waterfield Designs sends me a product to review, I worry it won’t be as nice as the one before it. No worries here, as the Rough Rider is a winner. As far as the price goes, I believe it is justified. The bag is nearly all leather and it is designed and made in the United States. Besides, I've seen bags of similar style cost a lot more. Aesthetic Appeal: ★★★★★ Wow Factor: ★★★★★ Build Quality: ★★★★★ Value: ★★★★☆ Buy Now: You may purchase the $335 Rough Rider at this link. 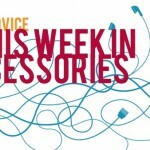 For other reviews on products from Waterfield Designs, see: Review: Outback Solo Is The iPad Bag Indiana Jones Would Choose, The New Staad Laptop BackPack Is Perfect For The Techie In Your Life, and Review: Get Smart With WaterField Designs' Secure And Stylish iPad Smart Case.